Three members of the same family were killed and a 12-year-old girl wounded after a man opened fire in their Ohio home.Sergeant Rich Weiner said the victims have been identified as John Anderson II, 31; his wife Christina Chaffin Anderson, 30, and their seven-year-old son, Landon. The suspect, identified as 50-year-old Barry Kirk, was shot by police officers after he fled the scene and died at Mount Carmel West hospital hours later. It is unclear what led to the shooting at the family’s home in Hilltop, Columbus. A woman made a 911 call at around 5pm on Monday, saying her husband had been shot by an intruder who was still inside the home, The Columbus Dispatch reported. 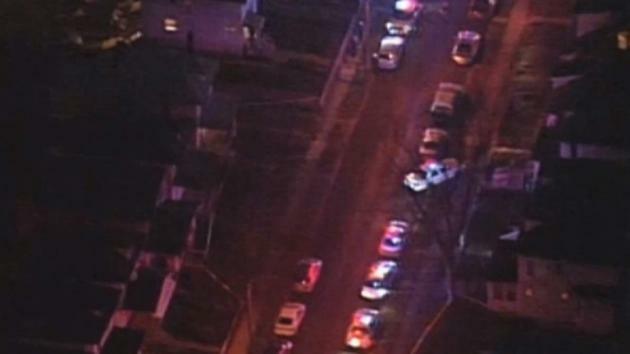 More gunshots could be heard in the 911 call. Sgt Weiner said when officers arrived at the house, Kirk was spotted running out of the building across the street. He was shot multiple times. He said: “I don’t know if this was a home invasion, if he was let into the house, if they knew the suspect. The 12-year-old girl, identified as Makyleigh Anderson, is expected to make a full recovery. Neighbour Jeff Drown, 51, told the Associated Press news agency that Mr Anderson was “a good kid”.